Earlier discussed pdf generation changes are live, including a new theme.. enjoy! some nifty changes coming up this weekend, all related to pdf generation. A3 anyone? : Support for more paper sizes. Attach Backside to card: allows you to flip flimsy office paper into decent card thickness. 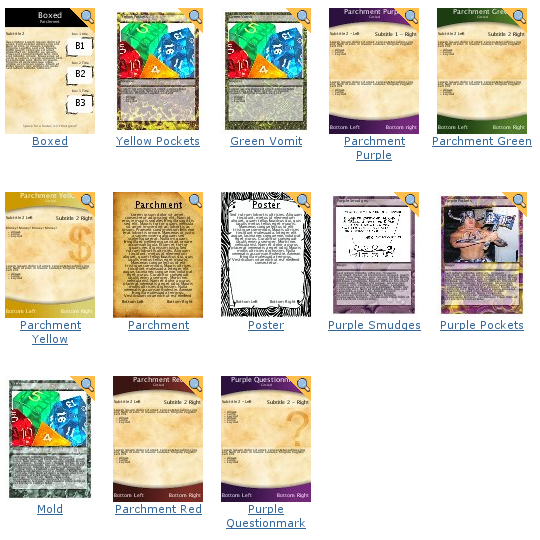 Card padding: Cards are now separated, so color smearing won’t be an issue. Card scaling: For those that want better readable cards, or to optimize cards-per-page. Foldable storage box: Convenient storage box that fits your cards. Improved cutting guidelines: Now covers the whole page, and placed against the card instead of over it. Introduction page: Gives printing instructions, and adds the title, link and description of the card. Margins: Specify your own margins. All in all this will allow you to create a neat little personalized package for your decks. Can’t wait to get this finished! 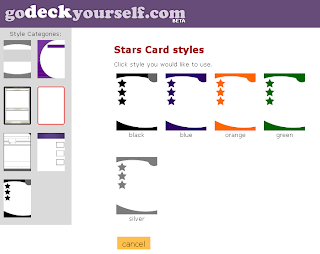 Added new card styles to godeckyourself.com! Style Library: Users can now visually inspect and select available card templates and styles, instead of having to browse through them via textual links. Pre-filled in fields: Fields that are generally static will be copied over to new cards in the deck. 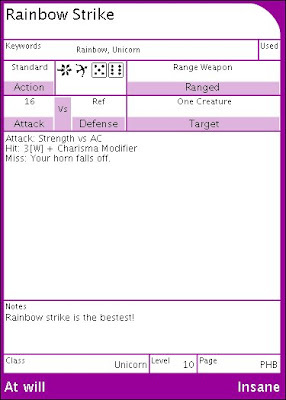 The Character Creator style Power Card is the only style currently configured for this, more will follow. Download Emergency Patch: Download issues won’t be gone, but should be less frequent. enworld put godeckyourself.com in the spotlight. A lot of decks have spawned but not a lot of people are sharing them yet; nobody seems to want to go first. I hope time will change that. The server has had some slight glitches, as does the card generation and downloading, but nothing that can’t be fixed. Performance has been good across the board. Overall I’m happy with the results. Can’t wait to see the statistics on Google analytics tomorrow. Redblade CG has been shelved for three years now and unshelving it is taking more effort than I thought. Time to plan some vacation next month to get it done! A new card style has been added, making power cards a snap! It’s called Power (CharCreator). Go check it out! Fourth edition is kinda fun! Going into it with some doubts, I’ve had a highly entertaining day playing 4e. There are a lot of things I like about it, and while its a lot leaner and meaner it just screams for some digital DM support. Its a pity the licenses are so restrictive, I’m sure Redblade CG could handle 4e with ease. On another note, I’m slowly getting some feedback on Godeckyourself.com. 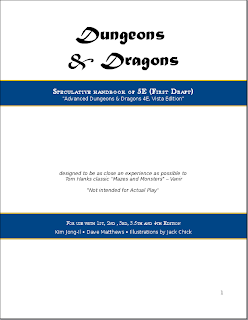 Shifting its focus to assisting the dungeon master in creating weekly props quickly was a good choice and I feel it fits the webbased medium perfectly.